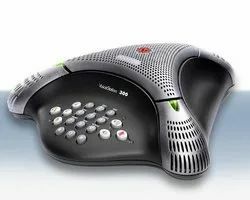 - Contents: The Konftel 300Mx is supplied with a battery (900102095), charging cradle (900102094), USB cable (900103388), power cable (900103401) and AC adapter (900102125). Location :- Buyer preference from Northern Region. 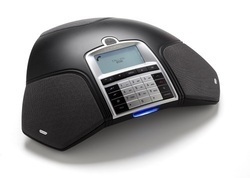 Snom's first VoIP conference telephone, the Snom MeetingPoint, is the perfect addition for any business that requires frequent cross-location conference calls.